While every single watch that Vacheron Constantin produces is a highly luxurious timepiece, their “Les Cabinotiers” department is where traditional art techniques and horology meet, producing some of the most exclusive and elevated timepieces available today. Vacheron Constantin’s premier watchmaking department is primarily focused on the creation of one-of-a-kind timepieces – either those intended to showcase the talents and history of the manufacturer (like those in their Mécaniques Sauvages collection), or those that have been commissioned by very special clients of the firm. For SIHH 2019, Vacheron Constantin has announced three new additions (seven pieces total) to their Les Cabinotiers “Mécaniques Sauvages” collection of one-of-a-kind timepieces. 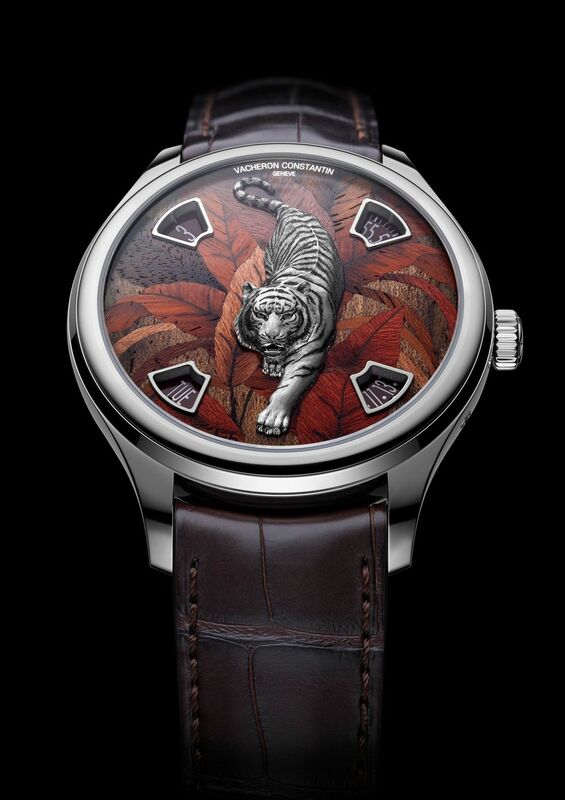 Bearing names like Imperial Tiger, Majestic Tiger, and Wild Panda, the latest additions to the Mécaniques Sauvages collection serve as a vivid tribute to the animal kingdom, and an expression of Vacheron Constantin’s mastery of ancestral artistic skills. The Vacheron Constantin Les Cabinotiers “Imperial Tiger” is produced with 4 different dial variations, each one being entirely unique (Image: Vacheron Constantin). 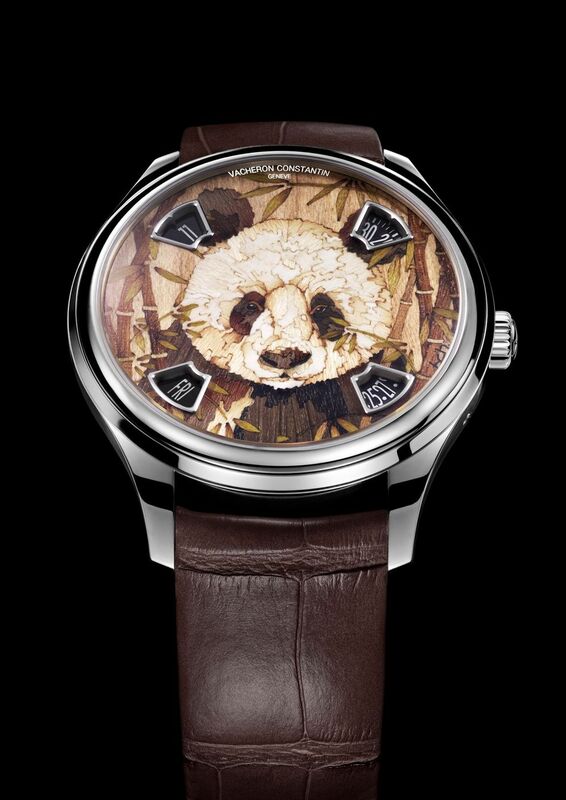 The Mécaniques Sauvages collection was first unveiled in November of 2018, and these new additions further the theme of animal-inspired timepieces. While previous releases primarily focused on engraving and enamel work, the latest additions to the Mécaniques Sauvages collection place a heavy emphasis on wood marquetry, a technique in which tiny, individually cut wood inlays – in various shades, shapes, and textures – are assembled mosaic-style to create an absolutely breathtaking motif on the surface of the dial. 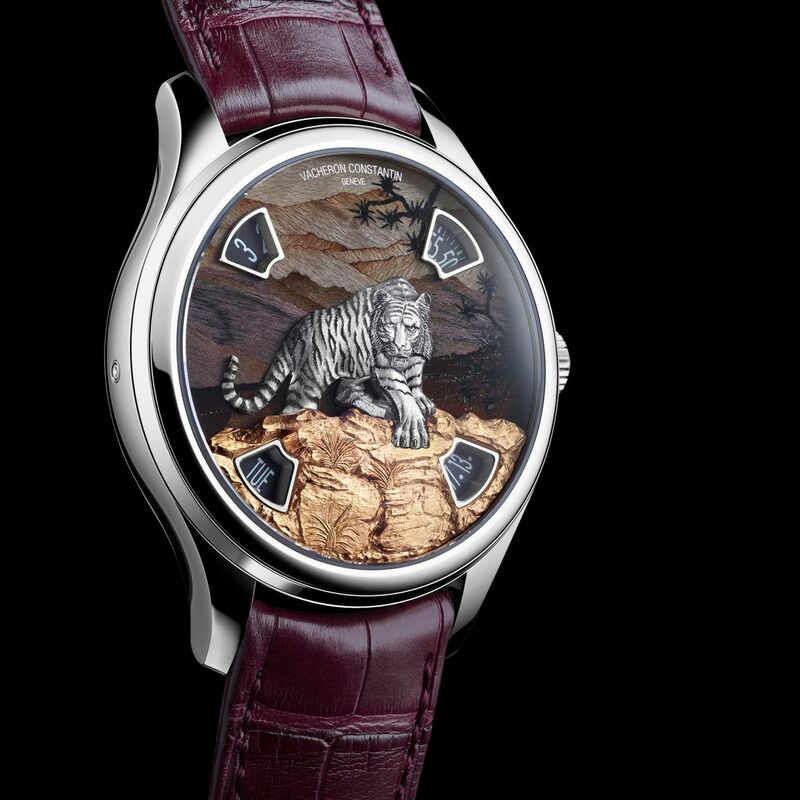 The Vacheron Constantin Les Cabinotiers “Majestic Tiger” is produced with 2 different dial variations, and only one example of each variation will be produced (Image: Vacheron Constantin). 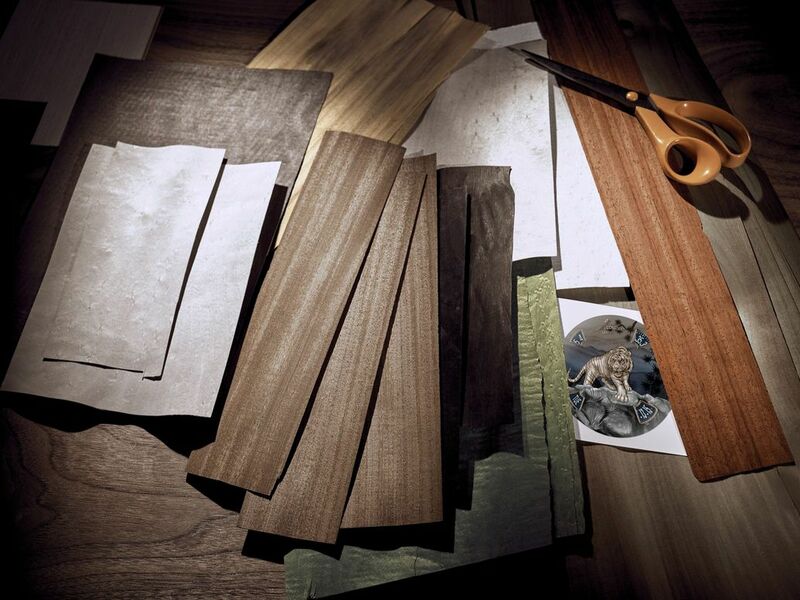 Up to twenty different types of wood were used on each of the new Mécaniques Sauvages watches, and each dial is constructed from anywhere between 130 and more than 300 individual pieces of hand-cut wood. The vast diversity of different hues and textures adds to the realism of the images depicted in these incredible timepieces, with the expertise of the artisan playing an integral and very personal role in the process, as he or she cuts each piece and carefully nests them together – intentionally directing the grain of the wood and aligning the fibers of each individual piece. The construction of each dial requires up to 20 different types of wood, cut into anywhere between 130 and 300+ individual pieces (Image: Vacheron Constantin). To offer the most unobstructed view of these incredible and completely unique dials, all three new additions to Vacheron Constantin’s Mécaniques Sauvages collection are powered by the self-winding Caliber 2460 G4 movement, which displays the hours, minutes, day, and date, through four apertures placed around the outer circumference of the dial. 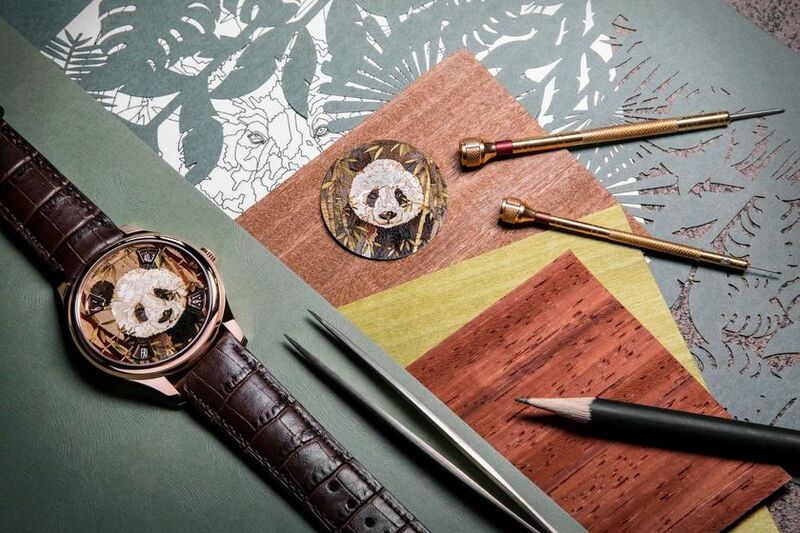 Without any hands to obscure the view, the entirety of the wood marquetry and bas-relief engravings can be viewed at all times, which allows the work of the master artisan to play the staring role, with the movement visible through the watches’ transparent casebacks. Powered by the Caliber 2460 G4 movement, the latest “Mécaniques Sauvages” watches offer an unobstructed view of their one-of-a-kind dials (Image: Vacheron Constantin). Since each one of the new Mécaniques Sauvages watches is an entirely unique piece, only seven lucky individuals will ultimately get to experience ownership first-hand. However, the creation of the Mécaniques Sauvages collection (along with much of what Vacheron Constantin’s Les Cabinotiers department does) is less about sales figures, and more about showcasing the immense talents and techniques of the company – both in terms of traditional watchmaking, and the mastery of traditional artistic crafts that have been faithfully passed down from one generation to the next within the manufacturer. 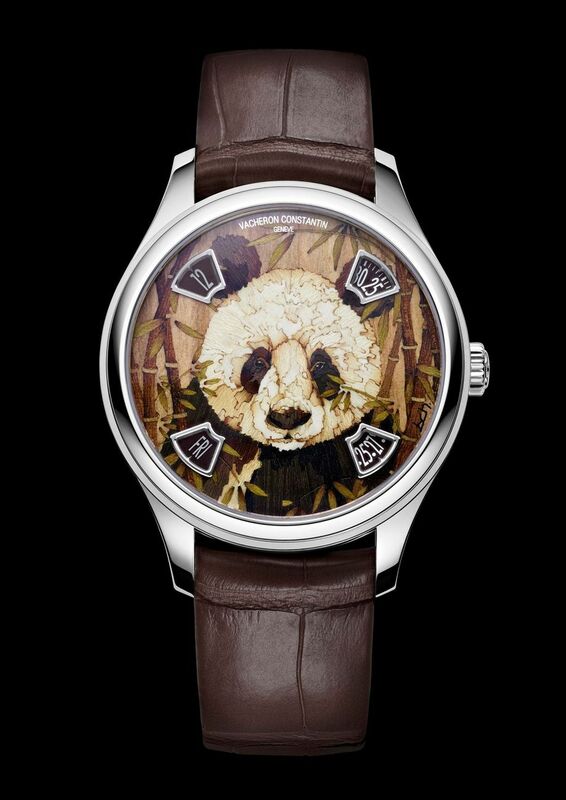 The dial of the Vacheron Constantin Les Cabinotiers “Wild Panda” is constructed of more than 300 individually cut pieces of wood (Image: Vacheron Constantin).